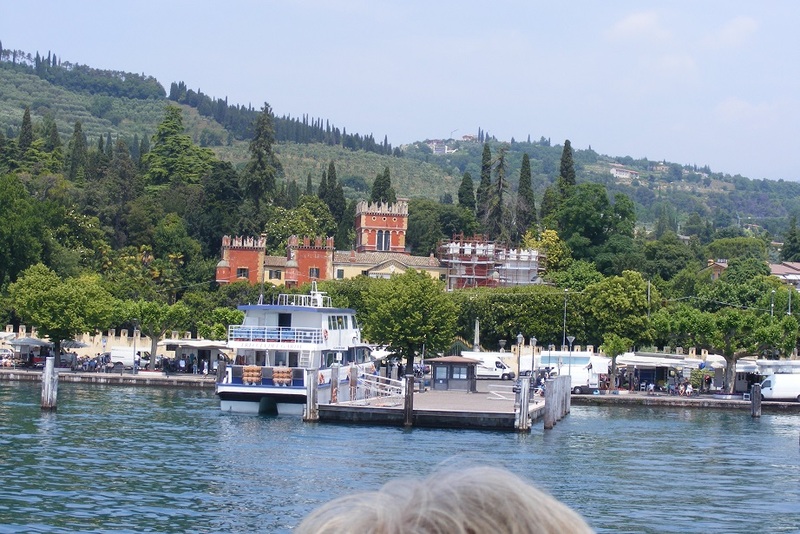 We were up early and down to the ferry point in Sirmione in time to buy tickets for the ferry across to Garda. 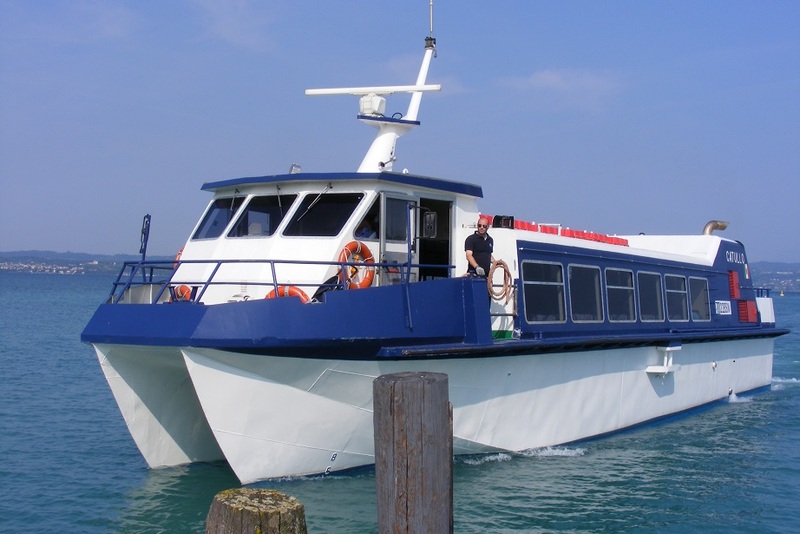 We went on a fast service on a catamaran type boat. 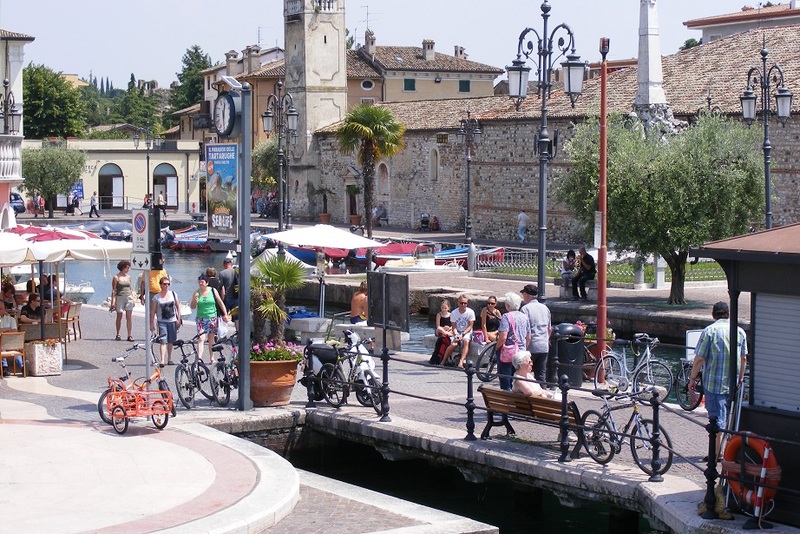 Garda is a quite a large town but the historic core is quite small, with narrow streets and lots of tourists. 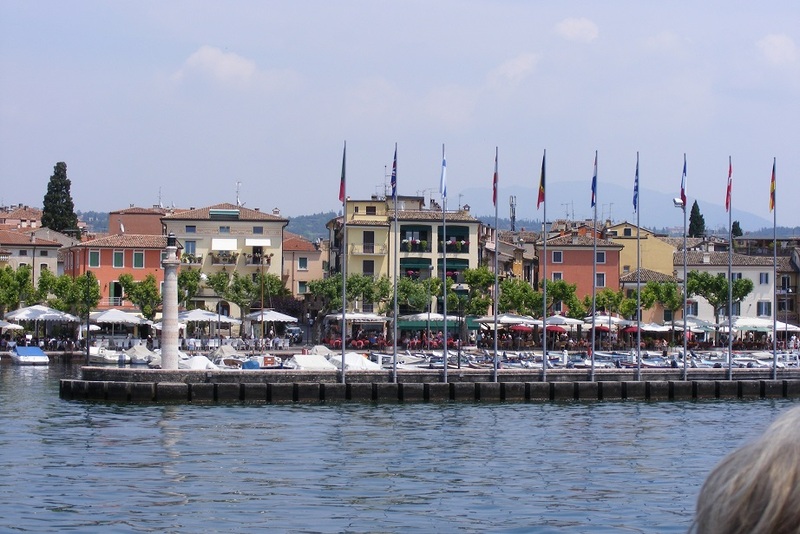 The lake front has been well developed and each Friday there is a very large market spread along it. 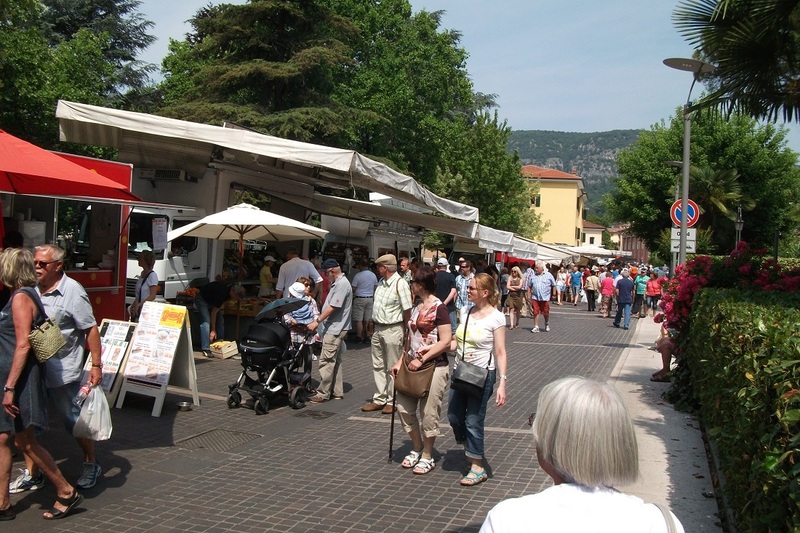 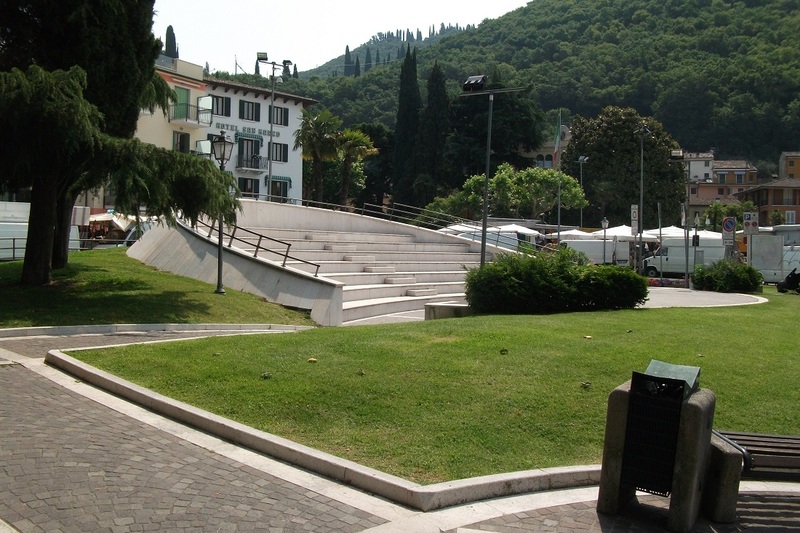 Garda market In the midst of the market can be seen a small outdoor theatre space. 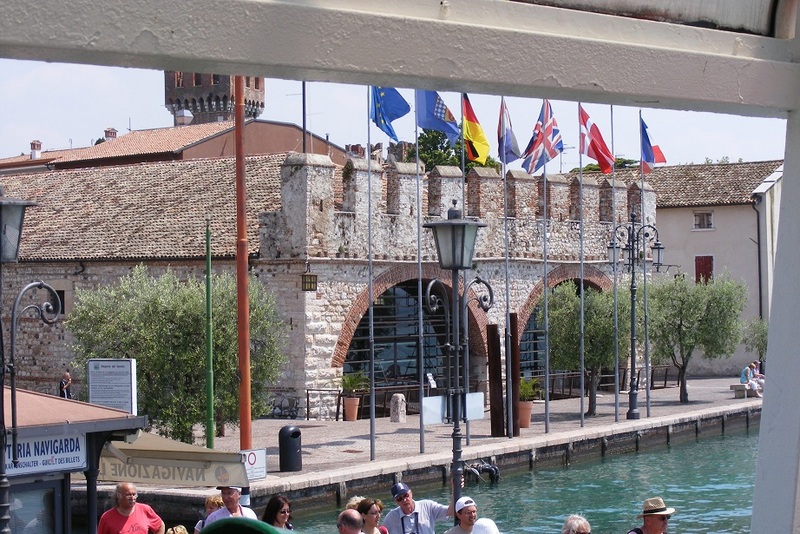 Lazise is unusual in having its historic town walls surrounding the historic centre almost the entire way round. 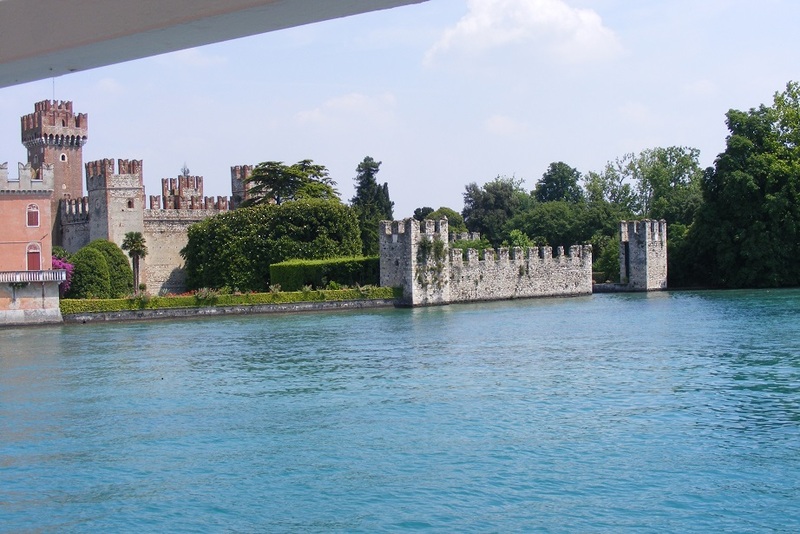 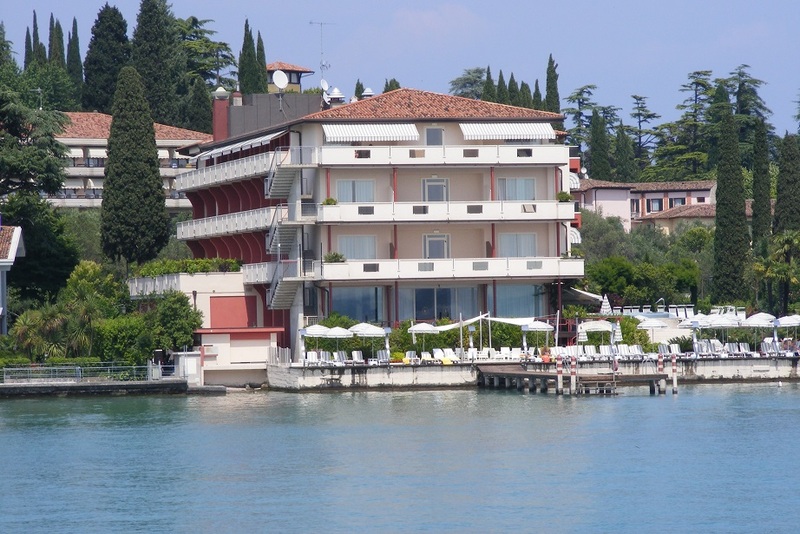 We passed by our hotel on the way back to Sirmione.